This beautiful series, each including 30 popular songs and ballads, is illustrated with photographs from the famous Father Brown Collection. A great addition to any Irish-lover's repertoire! 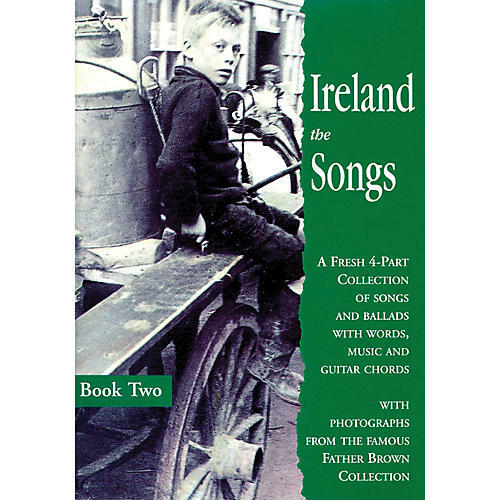 Includes: A Place in the Choir · Boys of Fairhill · Bunch of Thyme · The Ould Triangle · The Patriot Game · Sally Gardens · The Sun Is Burning · Whiskey in the Jar · Will You Go Lassie Go · Good Ship Kangaroo · Grace · The Rose of Mooncoin · Sliabh na mBan · Siuil a Ghra · and many more.